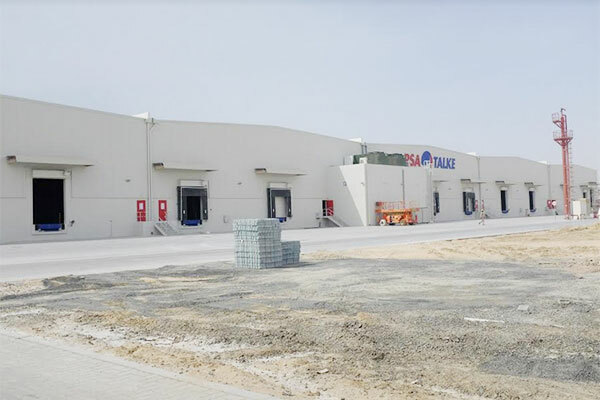 RSA-TALKE, a joint venture of Dubai-based third party logistics provider RSA Global, and Germany-based TALKE Group, has opened its new dangerous goods warehouse in Jebel Ali free zone(Jafza), Dubai. The latest facility is part of RSA-TALKE's plan to systematically expand its tank container terminal in Jafza, thus creating the only integrated chemical logistics hub of its kind in the region, approved for storage, handling, cleaning and filling of nearly all dangerous goods classes. This is in line with the company’s core purpose: To raise, set and maintain standards that delight our customers. By providing storage, tank cleaning, maintenance and repair and specialist workshop services all at the same physical location, this milestone expansion creates a comprehensive chemical bulk liquid supply chain destination for the UAE and the region. "Our chemical and petrochemical customers quite rightly attach great importance to their supply chain being flexible, reliable and appropriately equipped while meeting the highest standards of safety,” explained Markus Koepsel, General Manager at RSA-TALKE.